A long article by Mike Spies, “Secrecy, Self-Dealing, and Greed at the N.R.A.,” in The New Yorker, April 17, 2019, describes the National Rifles Association (NRA) as being in serious trouble. The NRA is a purported charity and exempt from federal tax under section 501(c)(4) of the Internal Revenue Code and we write today to alert you to what we believe are activities that clearly fall outside of the NRA’s charitable purpose and mission. We call on the IRS to commence an investigation into whether (i) the NRA has violated the federal laws governing 501(c)(4) charitable organizations, and (ii) if so, consider what remedies are warranted, including potential revocation of the NRA’s 501(c)(4) status. For his New Yorker article, Mike Spies conducted interviews and obtained the NRA’s federal tax forms, charity records, contracts, corporate filings, and internal communications. Although the “vast majority” of contributions to the NRA come from “millions of small individual donors”, what Spies uncovered is an organization of secrecy, corruption, and grossly overpaid executives. Memos by a senior NRA employee describe a workplace distinguished by secrecy, self-dealing, and greed, whose leaders have encouraged disastrous business ventures and questionable partnerships, while marginalizing those who object. In recent years, the NRA has run annual deficits of as much as $40 million. A financial audit from 2017 revealed that the NRA had nearly reached the limit of a $25 million line of credit. Raised its dues for the second time in two years. Liquidated more than $2 million from an investment fund. Borrowed almost $4 million from its officers’ life-insurance policies, while the costs of insurance increased by 341% from 2018 to 2019. Tapped another $4 million from its affiliated charitable foundation. Eliminated free coffee and water coolers at its headquarters. Froze its employees’ pension plan. Reduced spending on its avowed core mission of gun education, safety, and training to less than 10% of its total budget. The source of the NRA’s insolvency is a small group of executives, contractors and vendors who “extracted hundreds of millions of dollars from the nonprofit’s budget, through gratuitous payments, sweetheart deals, and opaque financial arrangements“. LaPierre, who earns more than $1 million a year. Dana Loesch, NRA spokesperson and former Breitbart News editor, who earned close to $1 million in at least one year. Oliver North, NRA president and former Iran-Contra operative, is paid roughly $1 million a year. Kyle Weaver, former executive director of NRA’s general operations who was fired in the fall of 2016, nevertheless was paid $720,000 for that year. State filings show Weaver also received $150,000 upon his exit, and continued to be paid through 2018, receiving “a final lump sum” this past January. Weaver’s successor, Josh Powell, was paid nearly $800,000 in 2017. Powell came to the NRA after running two clothing catalogues that catered to men who enjoy adventure, venison, and fine wine. He was sued at least 20 times by businesses that had worked with him, for unpaid bills amounting to more than $400,000. In December, 2018, Powell was moved out of the job of executive director of general operations, and was “promoted” to the NRA’s legal team as a “senior strategist” although he is not an attorney. Mike Marcellin was a senior NRA employee for almost 23 years who oversaw the NRA’s relationship with Lockton Affinity, an insurance administrator that worked on Carry Guard and other NRA-branded insurance products. Iin 2016, Marcellin retired from the NRA and started a private consultancy. Although he had worked only the first few weeks of January, the NRA paid him a full year’s salary — nearly $630,000, mostly in the form of a bonus. During the same year, Lockton paid him about $450,000. No one was aware that Marcellin was receiving income from both organizations—a situation that should have been disclosed on the NRA’s 2016 tax filings. Curiously, North and Loesch technically are not employed by the NRA, but are paid by Oklahoma-based public-relations firm Ackerman McQueen, which has shaped the NRA’s public identity for more than 30 years, wields great influence over the NRA’s initiatives, and is involved with nearly all of the group’s divisions. In 2017, according to tax filings, the NRA paid Ackerman McQueen and its affiliates $40.9 million, or about 12% of the NRA’s total expenses that year. The NRA and Ackerman McQueen have become so intertwined that it is difficult to tell where one ends and the other begins. Top officials and staff move freely between the two organizations. For instance, Ackerman has worked closely with LaPierre’s wife, Susan, who maintains an Ackerman e-mail address and was briefly employed there in the mid-1990s. On April 12, the NRA sued Ackerman McQueen, claiming that the PR firm has denied the NRA access to basic business records, including the terms of Oliver North’s contract, and blaming Ackerman for the NRA’s financial insolvency. Without its tax-exempt status, the NRA likely will not survive. The Pittsburg, PA mayor and city council have used the October 2018 mass shooting at Tree of Life synagogue in Squirrel Hill as justification for imposing a nearly total ban on firearms within the city limits. The ban, signed into law yesterday (April 10), would prohibit the use of any semi-automatic firearm that could accept a magazine with a capacity of more than 10 rounds. The new law uses the term “military style weapons” in the ban. However, the restrictions on magazine capacity would also ban the use of most common semi-auto handguns within city limits. The National Rifle Association and its supporters wasted no time yesterday (April 10) suing Pittsburgh, the City Council and Mayor Bill Peduto following the mayor’s signing of three bills restricting the use of “military style” weapons from within city limits. Four city residents with assistance from the NRA filed the lawsuit in Allegheny County Common Pleas Court, less then three hours after the mayor signed the gun ordinances into law. Other local gun owners vowed to file criminal charges against the mayor and council. “Pittsburgh’s ban on carrying loaded standard capacity magazines in public has a chilling effect on Plaintiffs’ exercise of their right under Pennsylvania law to possess these magazines and to carry them in public for self defense,” the lawsuit said. O’Connor and Councilwoman Erika Strassburger, who represent Squirrel Hill and proposed the bills, described Tree of Life as a “tipping point” in discussions over how to stop gun violence in the city. The legislation consists of three bills. One would ban the possession and use of certain semiautomatic weapons, including “assault rifles.” A second would ban ammunition and accessories, such as large capacity magazines. A third bill, dubbed “extreme risk protection,” would permit courts to temporarily remove guns from a person deemed to be a public threat and impose penalties on an adult who allows a child to access a gun illegally. Council approved the bills last week in a 6-3 vote. Three council members – Darlene Harris, Theresa Kail-Smith and Anthony Coghill – who voted against the legislation, were noticeably absent during the signing ceremony. O’Connor said council is prepared for the court battle. “I think everybody here said basically bring it on because we’re doing the right thing,” he said. “We’re willing to fight for our residents and I don’t think anybody is going to stop us. 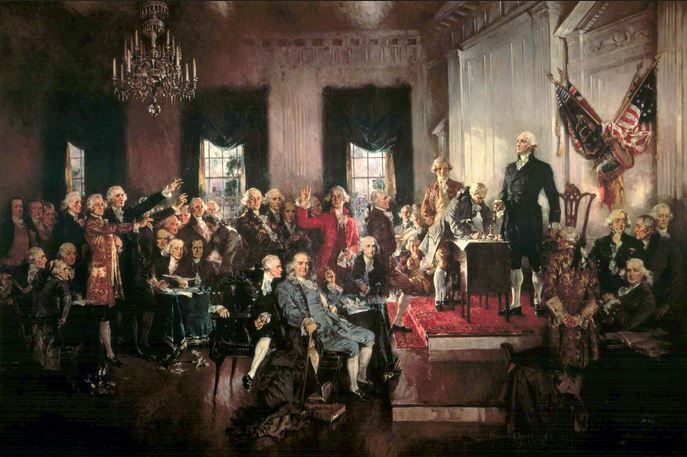 I thank God that our Founding Fathers, whose greatest fear was a tyrannical government, had the wisdom and foresight to institute curbs on government power in the form of numerous checks and balances. One of those checks is the creation of a federal republic, in which the constituent geographic states have their separate powers — a founding principle that is enshrined in the Tenth Amendment to the United States Constitution, which spells out the powers of the constituent (geographical) states and of the people. Unlike centralized polities like the UK and China wherein the central or national government holds all power, and whatever powers regional/local governments have are delegated to them, in a federation the powers of regional/local governments are not derived from the central government and, therefore, cannot be taken away by the central government. In the U.S. federal republic, as stipulated in the U.S. Constitution, it is the American people who grant separate powers to the federal government in Washington, D.C., and to the 50 state governments. There is a bill in the Missouri state legislature (General Assembly) which, if passed, will ban all federal gun-control laws by preventing all state agencies and their employees from enforcing any federal law that infringes the Second Amendment in any way, including gun registrations, fees, fines, licenses and bans. 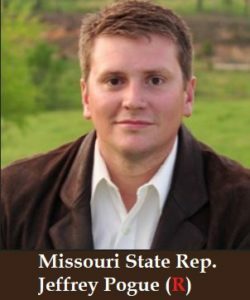 Sponsored by Rep. Jeff Pogue (R), 37, a Christian and a contractor/carpenter by profession, and co-sponsored by 4 other Republican representatives, House Bill 786: Second Amendment Preservation Act was introduced in the Missouri House of Representatives on January 31, 2019. HB 786’s companion bill in the state Senate is SB 367, which was introduced by Sen. Eric Burlison (R) on February 7, 2019. HB 786 begins with a powerful ringing reiteration of states’ rights and the limits on the federal government’s power which moved me to tears. The entire bill deserves your reading, and should be recommended to the legislatures of the other 49 states. (9) The general assembly of the state of Missouri strongly promotes responsible gun ownership, including parental supervision of minors in the proper use, storage, and ownership of all firearms, the prompt reporting of stolen firearms, and the proper enforcement of all state gun laws. The general assembly of the state of Missouri hereby condemns any unlawful transfer of firearms and the use of any firearm in any criminal or unlawful activity. (5) Any act ordering the confiscation of firearms, firearm accessories,or ammunition from law-abiding citizens. 1.430. All federal acts, laws, executive orders, administrative orders, court orders, rules, and regulations, regardless if enacted before or after the Second Amendment Preservation Act, which infringe on the people’s right to keep and bear arms as guaranteed by the Second Amendment to the Constitution of the United States and Article I, Section 23 of the Constitution of Missouri shall be invalid in this state, shall not be recognized by this state, shall be specifically rejected by this state, and shall be considered null and void and of no effect in this state. 1.440. It shall be the duty of the courts and law enforcement agencies of this state to protect the rights of law-abiding citizens to keep and bear arms within the borders of this state and to protect these rights from the infringements defined under section 1.420. 1.450. No person, including any public officer or employee of this state or any political subdivision of this state, shall have the authority to enforce or attempt to enforce any federal acts, laws, executive orders, administrative orders, court orders, rules, regulations, statutes, or ordinances infringing on the right to keep and bear arms as defined under section 1.410. 1.460. 1. Any entity or person who knowingly, as defined under section 562.016, violates section 1.450 or otherwise knowingly deprives a citizen of Missouri of the rights or privileges ensured by the Second Amendment of the Constitution of the United States or Article I, Section 23 of the Constitution of Missouri, while acting under the color of any state or federal law, shall be liable to the injured party in an action at law, suit in equity, or other proper proceeding for redress. 2. In such actions, the court may award the prevailing party, other than the state of Missouri or any political subdivision of the state, reasonable attorney’s fees and costs. 3. Sovereign, official, or qualified immunity shall not be an affirmative defense in such actions. (2) Gives material aid and support to the efforts of others who enforce or attempt to enforce any of the infringements identified in section 1.410 shall be permanently ineligible to serve as a law enforcement officer or to supervise law enforcement officers for the state or any political subdivision of the state. 2. Neither the state nor any political subdivision of the state shall employ as a law enforcement officer or supervisor of law enforcement officers any person who is ineligible to serve in such capacity under this section. 3. Any person residing in or conducting business in a jurisdiction who believes that a law enforcement officer or supervisor of law enforcement officers of such jurisdiction has taken action that would render that person ineligible under this section to serve in such capacity shall have standing to pursue an action for declaratory judgment in the circuit court of the county in which the action allegedly occurred, or in the circuit court of Cole County, with respect to the employment eligibility of the law enforcement officer or the supervisor of law enforcement officers under this section. (2) The jurisdiction that had employed the ineligible law enforcement officer or supervisor of law enforcement officers shall be required to pay the court costs and attorney’s fees associated with the declaratory judgment action that resulted in the finding of ineligibility. 5. Nothing in this section shall preclude a person’s right of appeal or remediation, as provided under chapter 590. 1.480. For the purposes of sections 1.410 to 1.485, the term “law-abiding citizen” shall mean a person who is not otherwise precluded under state law from possessing a firearm and shall not be construed to include anyone who is not legally present in the United States or the state of Missouri. 1.485. If any provision of sections 1.410 to 1.485 or the application thereof to any person or circumstance is held invalid, such determination shall not affect the provisions or applications ofsections1 .410 to 1.485, which may be given effect without the invalid provision or application, and the provisions of sections 1.410 to 1.485 are severable. 24 Republicans vs. 10 Democrats in the Senate. 116 Republicans vs. 47 Democrats in the House of Representatives. 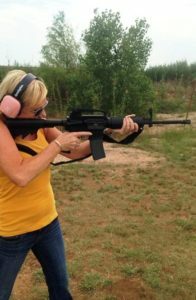 According to Max Headroom of The Sentinel, a former version of the Second Amendment Preservation Act, SB 613, was passed by the state legislature in 2014, but vetoed by then Missouri Governor Jay Nixon, a Demonrat. The National Rifles Association (NRA) because anti-gun Sen. Jamilah Nasheed had tried to sneak language into SB 367 that would require gun owners to report a stolen firearm to police no more than 72 hours after the discovery of the theft, or face a $1,000 fine and a misdemeanor charge. However, the stolen firearm reporting clause was removed from the actual text of the bill. See also “Supreme Court ruled in 2008 that Second Amendment applies to individuals, not militias, and may include military weapons”. The Connecticut Supreme Court today ruled that the families of those killed in the Dec. 14, 2012 shooting at Sandy Hook Elementary School in Newtown, Conn., would be allowed to sue Remington Arms, the manufacturer of the Bushmaster AR-15 used in the attack. In a 4-3 decision, the court reversed a ruling of the lower court, Bridgeport Superior Court, which originally dismissed a lawsuit filed by Sandy Hook families against Remington in 2015. The lower court’s 2015 ruling rested on the federal Protection of Lawful Commerce in Arms Act (PLCAA). The law protects firearms manufacturers and dealers from being held liable when crimes have been committed with their products. A one vote majority of the Connecticut Supreme Court, however, ruled that PLCAA did not shield Remington (and by extension all gun manufacturers and dealers) from being sued. The families’ original lawsuit filed against Remington in 2015, alleged that the company manufactured and marketed a military weapon that ended up in the hands of a civilian. Bridgeport Superior Court dismissed the lawsuit in 2016, declaring that it “falls squarely within the broad immunity” provided under the PLCAA. Some legal analysts now however say Remington might be held liable under the “negligent entrustment” exception in the law, which defines the “supplying of a qualified product by a seller for use by another person when the seller knows, or reasonably should know, the person to whom the product is supplied is likely to, and does, use the product in a manner involving unreasonable risk of physical injury to the person or others. Major liberal me outlets, most notably The New York Times, seem positively giddy over the prospect of suing America’s firearms manufacturers out of business. They continued, “The lawsuit mounted a direct challenge to the immunity that Congress granted gun companies to shield them from litigation when their weapons are used in a crime. The ruling allows the case, brought by victims’ families, to maneuver around the federal shield, creating a potential opening to bring claims to trial and hold the companies, including Remington, which made the rifle, liable for the attack. The 4-3 majority largely upheld arguments made by lawyers for Remington that the company is protected from suit in many instances. The court ruled, however, that Congress did not intend the PLCAA to preclude state law. Ultimately, the majority said, the plaintiffs should have the opportunity to prove that Remington violated the Connecticut Unfair Trade Practices Act (CUTPA) by marketing a military-style weapon to civilians. A Connecticut Superior Court judge dismissed the lawsuit in 2016, agreeing with lawyers for Remington that the case falls within the “broad immunity” gun manufacturers and sellers are afforded under the PLCAA. The state Supreme Court decision, however, paves the way for the suit to continue and for lawyers to access internal documents from the firearms companies. Lawyers for the gunmaker argued that there was no way for Remington to assess the shooter, and therefore no way they could have known what the gun would be used for. According to the Times, the lawsuit was originally filed in 2014 by nine families of the victims and a teacher who was injured in the shooting. It names gun manufacturers and distributors Bushmaster, Remington, Camfour Holdings LLP, as well as Riverview Gun Sales Inc., the gun shop where the shooter’s mother purchased the Bushmaster AR-15 rifle, and the store’s owner. Remington Arms filed for bankruptcy in March of 2018, which effectively stalled the lawsuit. In May 2018, the company announced that it had emerged from bankruptcy. On October 26, 2005, President Bush signed S. 397, the “Protection of Lawful Commerce in Arms Act.” Introduced by Sens. Larry Craig (R-ID) and Max Baucus (D-MT), this legislation is a vitally important first step toward ending the anti-gun lobby`s shameless attempts to bankrupt the American firearms industry through reckless lawsuits. Reps. Cliff Stearns (R-FL) and Rick Boucher (D-VA) introduced similar legislation, H.R. 800 in the House of Representatives. •These suits are intended to drive gunmakers out of business by holding manufacturers and dealers liable for the criminal acts of third parties who are totally beyond their control. Suing the firearms industry for street crime is like suing General Motors for criminal acts involving Buicks. •These lawsuits seek a broad range of remedies relating to product design and marketing. Their demands, if granted, would create major restrictions on interstate commerce in firearms and ammunition, including unwanted design changes, burdensome sales policies, and higher costs for consumers. While the suits are unwarranted, the firearms industry has had to spend over $200 million in defense. •Congress has the power-and the duty-to prevent activists from abusing the courts to destroy interstate commerce. •The bill provides that lawsuits may not be brought against manufacturers and sellers of firearms or ammunition if the suits are based on criminal or unlawful use of the product by a third party. Existing lawsuits must be dismissed. •The bills expressly allow suits based on knowing violations of federal or state law related to gun sales, or on traditional grounds including negligent entrustment (such as sales to a child or an obviously intoxicated person) or breach of contract. The bill also allows product liability cases involving actual injuries caused by an improperly functioning firearm (as opposed to cases of intentional misuse). •The Congress has often passed limitations on liability for specific groups, including light aircraft manufacturers, food donors, corporations affected by “Y2K” computer problems, charitable volunteers, health officials, medical implant manufacturers, and makers of anti-terrorism technology. These lawsuits usurp the authority of the Congress and of state legislators, in a desperate attempt to enact restrictions that have been widely rejected. Thirty-four states have also enacted statutes blocking this type of litigation. Yesterday, the State of Connecticut Judiciary Committee conducted a public hearing in Hartford to discuss tougher gun laws following the accidental shooting death of a teenage boy. Ethan Song, 15, accidentally shot himself with a gun belonging to his friend’s father. Safe storage of fire arms in the home. A measure requiring anyone open-carrying a firearm to produce a permit if asked by police. A move to regulate “ghost guns” or 3-D printed firearms and components. Blind to her hypocrisy and the irony of the situation, an anti-gun activist threatened to shoot the place up and had to be removed from the hearing. 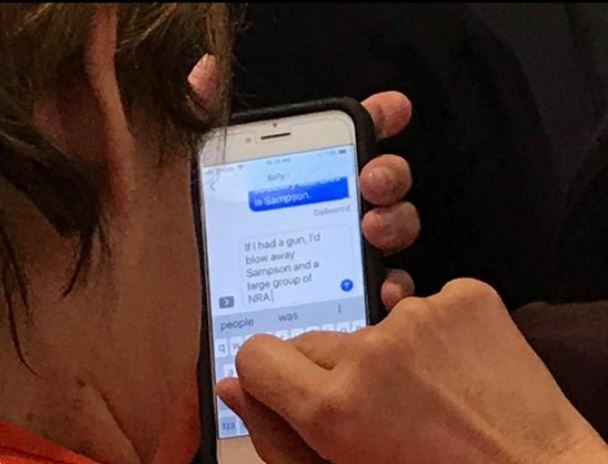 Woman expelled from gun hearing after being seen sending this text about a state lawmaker. If I had a gun, I’d blow away Sampson and a large group of NRA. Republican Connecticut State Senator Rob Sampson is a staunch supporter of the Second Amendment and defender of the NRA (National Rifles Association). Threatening the President of the United States is a felony under 18 U.S.C. § 871, punishable by up to 5 years of imprisonment, and is investigated by the U.S. Secret Service. Threatening other officials, such as State Senator Rob Sampson, is a Class C or D felony, usually carrying maximum penalties of 5 or 10 years under 18 U.S.C. § 875, 18 U.S.C. § 876 and other statutes, and is investigated by the FBI. Ryan Gaydos reports for Fox News, Feb. 11, 2019, that sheriffs in 12, mostly rural, counties in Washington state are refusing to enforce a new gun-control law, Initiative 1639, that was passed last November, on the grounds that it is unconstitutional. I-1639 is a sweeping measure that raises the minimum age for buying semi-automatic from 18 to 21, requires buyers to first pass a safety course, expands background checks and gun storage requirements. The sheriffs are from these 12 rural counties: Benton, Cowlitz, Douglas, Grant, Klickitat, Lincoln, Mason, Okanogan, Pacific, Stevens, Wahkiakum and Yakima. Grant County Sheriff Tom Jones told the Associated Press: “I swore an oath to defend our citizens and their constitutionally protected rights. I do not believe the popular vote overrules that.” Lincoln County Sheriff Wade Magers said 75% of voters in his county voted against the bill and called the new rules unenforceable. The National Rifle Association and the Second Amendment Foundation filed a lawsuit in federal court arguing the measure is unconstitutional because it violates the 2nd and 14th Amendments of the Constitution and gun sellers’ rights under the Commerce Clause. The suit doesn’t challenge enhanced background checks of or the training requirements. Tom Knighton of Bearing Arms points out that although Initiative 1639 reportedly received 60% of the vote, it is urban-centered. Like California and Oregon, a handful of urban centers dominate Washington state. As an example, just one city, Seattle, with a population of 766,893, accounts for as much as 10% of Washington state’s total population. You’ll never see demorat bureaucrats forcing businesses to disclose any ties to the baby-killers Planned Parenthood. From WKRN: The Los Angeles City Council has passed a law requiring companies that want city contracts to disclose whether they have ties to the National Rifle Association. The measure passed Tuesday. 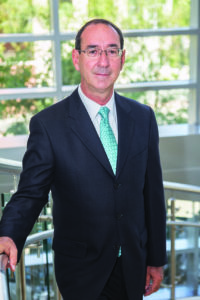 Councilman Mitch O’Farrell sought the ordinance in the wake of recent U.S. mass shootings. 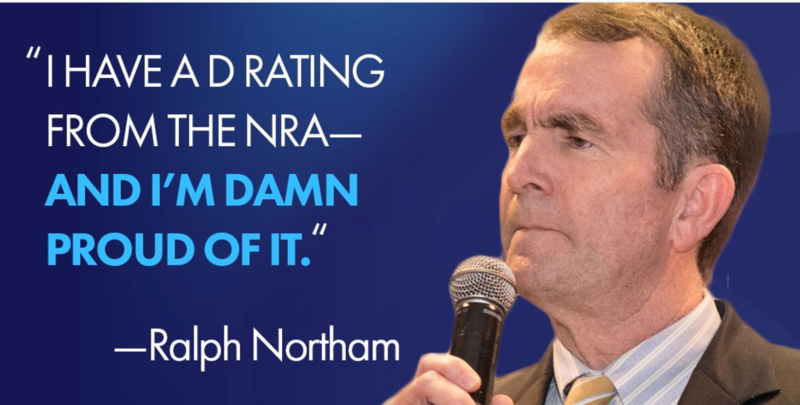 He says the NRA has been a “roadblock to gun safety reform” for decades. NRA attorneys had warned they’d sue if the ordinance passed. Attorney Chuck Michel calls the move “modern-day McCarthyism” that would force NRA supporters to drop their memberships for fear of losing their livelihoods. 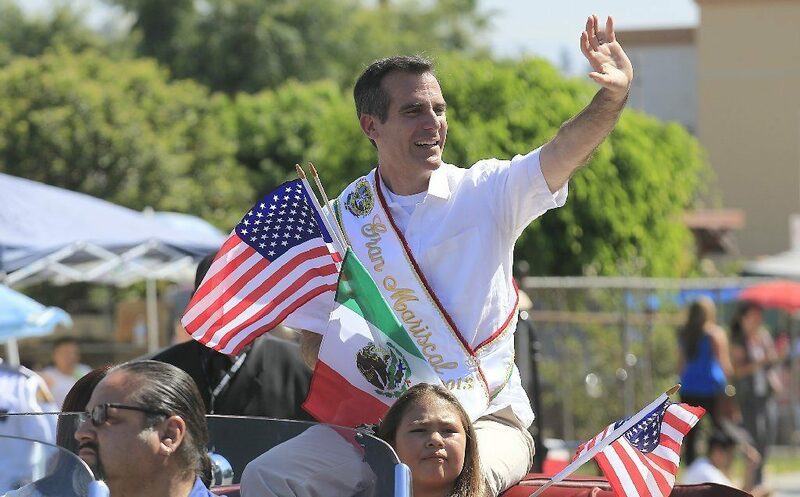 Michel tells the Los Angeles Times he doesn’t know of any other city that has such a policy and the NRA is confident no judge will uphold it. Maybe city “leaders” should focus on the recidivism rate of convicted criminals in their city instead of boogeyman NRA members. This extremely biased article does not call out the real goal of this group: Eliminate private gun sales (as they reference an “unlicensed dealer” sale at a gun show.) Funny, I couldn’t find one mass shooting that was committed with a gun obtained via private sale. But never let facts get in the way of an agenda. 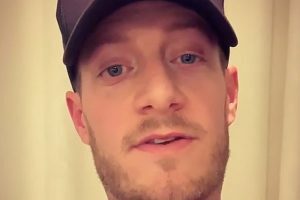 From Yahoo: After announcing his involvement in the Toms apparel company’s campaign to support universal background checks in the firearm industry last week, Florida Georgia Line’s Tyler Hubbard went one step further on Monday, calling out 34 fellow country artists to add their voice of support to Toms’ “End Gun Violence Together” campaign. In an interview with Rolling Stone Country, Hubbard expanded on his decision to speak out on the issues of gun violence and gun control, and explained the reasoning behind his call to encourage a wide range of country artists — including Blake Shelton, Chris Stapleton, Miranda Lambert, Sam Hunt, Luke Bryan and even fellow FGL bandmate Brian Kelley — to join him in the campaign. The federal National Instant Criminal Background Check System, or NICS, has been in place since 1993, but there are a number of inefficiencies and loopholes (including the ability to purchase firearms from unlicensed dealers at a gun show without a background check), that have made the system less than 100 percent effective. Toms’ “End Gun Violence Together” campaign is aimed at encouraging lawmakers to pass legislation that would strengthen the federal government’s ability to run background checks on all citizens purchasing firearms in the United States. Toms’ campaign encourages citizens to send a postcard to their legislators urging them to pass universal background check legislation. Mycoskie says that since launching the initiative last month, more than 600,000 postcards have been sent to lawmakers via the company’s website. Hubbard and Dierks Bentley were among the first country artists to join the campaign, which Mycoskie began after the Borderline shooting. Since Hubbard’s challenge to fellow artists, Lady Antebellum and Little Big Town’s Karen Fairchild have voiced their support for the campaign.